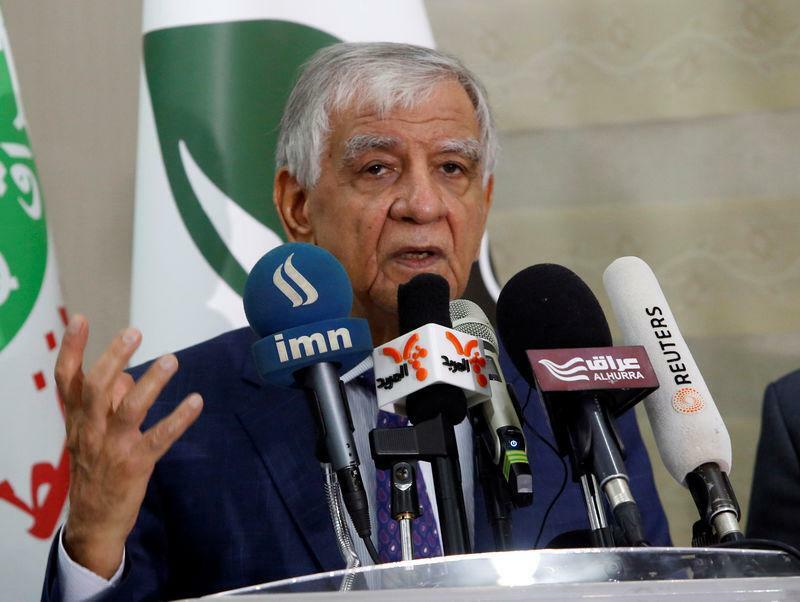 SULAIMANIYA/ERBIL, Iraq (Reuters) - Iraqi Oil Minister Jabar al-Luaibi has reversed his decision to transfer the ownership of nine state-owned oil companies from the ministry to the newly formed National Oil Company, the ministry said on Saturday. He later told state television in an interview that Iraq hopes to produce 7 million barrels of oil a day (bpd) through the National Oil Company and to export 4 million bpd in 2019. The reversal of the transfer decision would enable the incoming government of Prime Minister-designate Adel Abdul Mahdi to make its own decisions in the oil sector, the ministry said in a statement. Luaibi is the oil minister in an outgoing government led by Prime Minister Haider al-Abadi. Luaibi had issued a decree on Thursday transferring ownership of the nine state-owned oil companies, including state oil marketer SOMO, to the National Oil Company. On the same day, Abdul Mahdi, who has the task of forming a new government after months of political deadlock following a May election, called on officials in the outgoing government to refrain from signing urgent contracts, making non-essential hires, or other key decisions. The Iraqi government last week named Luaibi as head of the new company, which is to serve as an umbrella organization for state oil firms. Luaibi currently holds both the position of minister and that of company chief. Parliament voted in March to set up the company, which is meant to manage Iraq’s upstream operations and free up the ministry to be able to set plans and strategies for developing the sector. In an interview with state television on Saturday night, Luaibi said Iraq hoped to export 1 million bpd through Jordan’s Akaba port, without specifying a timeline. The burning of gas produced as a byproduct of oil extraction would stop by 2021, he said. The northern refinery of Baiji was brought back online and is producing 70,000 bpd, Luaibi added. Iraq's state oil companies are now told to delay pivot of authority from oil ministry to new national oil company. Oct. 20, 2018 – UPDATE: The nine state oil companies slated to become part of Iraq’s new national oil company have been told to halt actions ordered on Thursday to disassociate from the oil ministry, according to a statement published Saturday on the ministry’s website. An order by Oil Minister Jabbar al-Luiebi, also dated Oct. 20, said the next government will decide how to handle the formal establishment of the company. The new order justified the previous one, however. It said that the parliament-approved law set a timeline for beginning the process of establishing the national oil company, which is based primarily on subsuming certain ministry companies.